The first ever Pike Center symposium took place earlier this month in Penang, Malaysia. It was held May 10-15 as part of SIL International's 7th International Language Assessment Conference at which 125 participants gathered to consider the overall theme of “Understanding the Implications of Multilingualism.” Advances in technology and travel have brought speakers of local languages into contact with languages of wider communication to an extent unimagined in previous eras. The result is a constantly changing ecology of languages in which ethnolinguistic minorities manage and negotiate their identities and participation in broader society to a great degree through the languages they choose to use. In the Pike Center symposium, eighteen scholars presented papers on the theme of Language and Identity in a Multilingual, Migrating World. 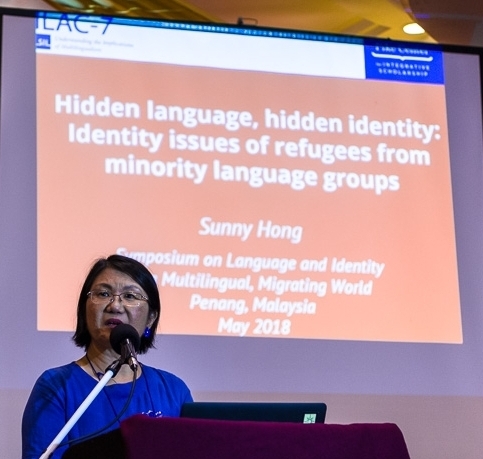 Some of the contributions offered different models for understanding the dynamics of multiple languages, multiple identities, and the relationship between the two. Others looked at various social and geographic contexts of multilingualism, including urban, diaspora, refugee, and cross-border settings. Still others offered case studies of particular multilingual situations in South Asia, Central Asia, Central Europe, West Africa, Middle Africa, and Madagascar. The preliminary proceedings of the symposium are being made available through the Pike Center’s Agile Publishing program. An initial release of the draft papers was made available to all the participants at the event. The current version of the proceedings adds an introduction by the symposium organizers and incorporates significant editing, but the editorial work continues as authors work to finalize their papers based on peer feedback from each other and from discussion groups at the event. The current version is about 75% complete, with two papers and a concluding chapter still to be added and final drafts from most authors still to be submitted. If you opt in to receiving notifications when you download the proceedings, the publishing system will notify you as updated versions of the proceedings are released.